Manchester United's 0-1 defeat by a score of Southampton in the Premier League at Old Trafford Stadium, Saturday (01/23/2016). It became the sixth defeat of Manchester United in the English Premiere League (EPL) in the 2015-2016 seasons. With this result, United stuck in fifth position with a collection of 37 points from 23 matches. They are adrift five points of Tottenham Hotspur, who won 2-1 at Crystal Palace at the same time. The failure of United to win this match is also backed by lack of opportunities to shoot on target. According to the Premier League, they just fired one shot on goal throughout the game. The only shot on target was released by Daley Blind from outside the penalty box in the 13th minute. The ball is still secured by Fraser Forster. Six minutes later, United hit back through Wayne Rooney. The captain had to trick Jordy Clasie before unleashing a shot wide on the side of the net. There was no significant threat until halftime. As a result, a score of "glasses" emblazoned at halftime. In the second half, Southampton got some opportunities through a dead ball. In the 62nd minute, Victor Wanyama was beat Rooney in the air duel, but his header was deviated direction. The guest team just broke the deadlock in the three minutes before the end of normal time. Ball James Ward-Prowse submissions forwarded to Charlie Austin's header, then it rattled goalkeeper David De Gea. United was unable to revenge in the remaining time. 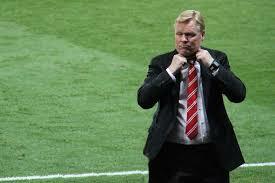 No doubt, Southampton entitled to bring home three points.